You know that feeling when you come out of the carwash and your car looks clean and shiny, so you drive around just to feel that your car is bright and clean and you feel proud of your car? Get that same feeling for you home! Pressure washing will brighten up your home and make it look as good as new. Except you can’t take your home out for a drive. Contact Palm Beach Pressure Cleaning today. Even if you aren’t getting ready to sell your home, it’s important to the health of the siding to keep it clean. 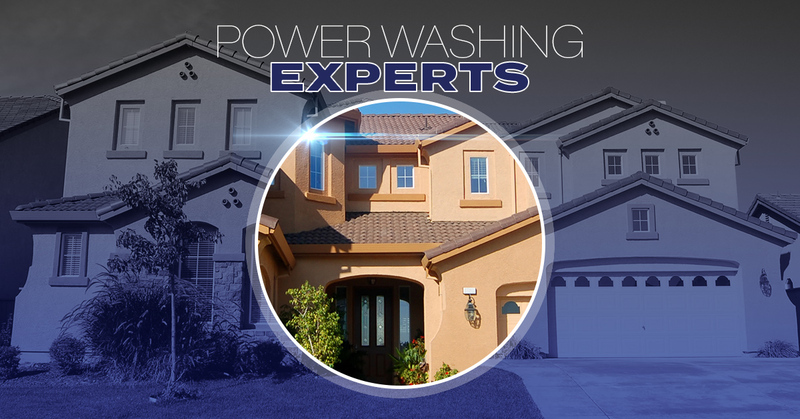 Siding, windows, gutters, driveways, and decks; power washing will give an instant facelift to your entire home. If you are selling your home, pressure washing could increase the value by $10,000. When the siding of your home is not well maintained, mold and mildew can eventually damage the siding. Pressure washing will remove dangerous mold or mildew from the siding so you won’t have to spend money on replacing it, which would be significantly more expensive. Same as the siding, if you have a deck or patio, pressure washing these surfaces will prevent the wood from rotting and can save you the trouble of having to replace sections of the deck. Pressure washing will also prevent staining on siding. Hiring Palm Beach Pressure Cleaning will save you time. You won’t have to try to mix cleaning solutions, climb ladders, and you won’t have to scrub endlessly trying to achieve the same results as power washing. Lake Worth, Florida, has the ideal climate for mold to grow on siding. Prevent mold and the spores that grow into mold from becoming dangerous to your siding, and pressure wash the surfaces with little effort and time. If you are thinking about painting or refinishing a surface, it is essential to have a clean surface before paint goes on. With decks or siding, have the surface power washed before any staining is done. This will ensure that the staining job is done correctly. This includes all surfaces, such as siding, decks, and patios. Mildew, mold, dirt, and algae can all grow on surfaces all around your home, and it’s not always noticeable until it becomes spread out enough to see from a distance. Especially when you have members of the family who are allergic to mold, it is important to get ahead of these issues. Pressure wash siding, decks, and walkways so that you can be confident that your family’s health is safe. When you are concerned about damaging wood surfaces, such as decks and railing or allowing water into the siding, low pressure washing can be safer on the surface but will still give you the results that you desire. Pressure washing your home might be one of those things that gets pushed to the bottom of your home maintenance list because it may not seem as important as other tasks, or it can be something that keeps getting pushed back, but by hiring Palm Beach Pressure Cleaning, we can check this item of your list for you. It will take you less time and effort than trying to do it yourself, and you will get better results. Contact us today to learn how to get started.